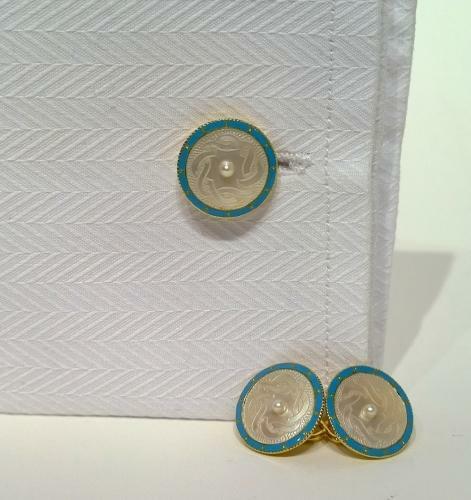 A pair of 18ct gold, mother of pearl and enamel antique cufflinks, each set with a small natural pearl. The mother of pearl is engraved with an open rope twist design. The turqoise enamel is in perfect condition. c1890.